Based in the heart of Austria’s best skiing region, Kaprun is a quintessentially classic alpine village. Just a short distance from the popular Zell Am See Salzburg ski resort, this small-scale holiday spot is perfectly positioned for those looking to enjoy the slopes without the hustle and bustle of a larger, tourist-focused retreat. Originating as a small mining village in the 12th century, Kaprun now survives as part of the beautiful and family-friendly Kitzsteinhorn glacier ski resort, with guaranteed snow, excellent conditions and incredible views. The first significant ski project in Austria, this resort has all the amenities you could possibly need to make the most of the winter season. Thanks to its elevation and unique location, the area offers an extended snow season, with visitors flocking to the perfectly-placed alpine village from November onwards to make the most of its pristine slopes and fantastic weather conditions. Complete with its own castle and picturesque views from the High Tauern mountains over nearby peaks and gorges, it’s no wonder tourists fall in love with that destination a little more with each visit. With a relatively small permanent population of 3,000, Kaprun retains its old-fashioned charm in the vast majority of activities in and around the village. With numbers swelling far beyond that during the most active season, there’s always a great deal to see and do for couples, families and solo travellers alike. Despite this small scale, there are plenty of things to do in Kaprun. The most obvious thing to do in Kaprun is to explore the excellent slopes at the Kitzsteinhorn ski resort, which offers practically unparalleled levels of consistency in its snow, thanks to its glacial location, as well as a sunny weather report for Kaprun for most of the season. Featuring what is arguably one of the cable car pylons in Europe, as well as countless variations of pistes to match just about any skill level, hitting the slopes is a regular pastime to visitors and villagers alike. In fact, Kaprun is the ski resort of choice for many of the surrounding destinations too, thanks to the longer season and exceptional quality it presents. 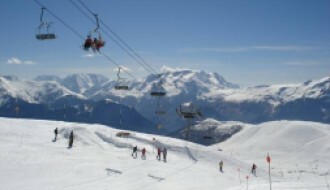 Twenty-nine pistes are included on the slopes, in addition to over 18km of cross-country ground for the more adventurous holidaymakers. With an altitude of 3029m on the top lift, there’s plenty of ground to cover to the 911m base lift. 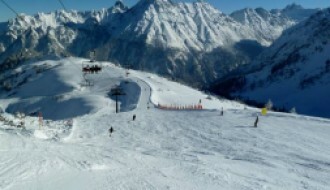 The snow report for Kaprun is generous too, with 310cm reported the previous year. 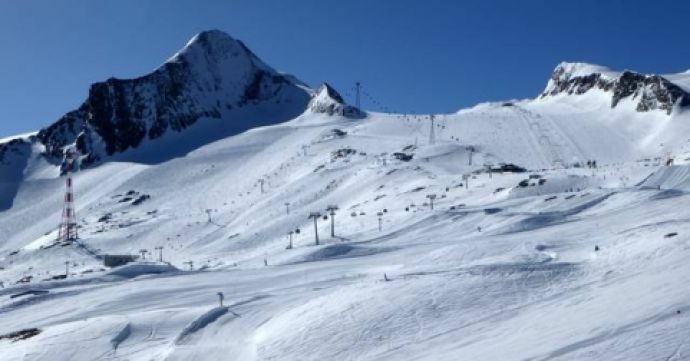 For up-to-date snow and weather reports, take a look at our Kaprun resort guide here. While ski season runs from an impressive end of October to start of June, there’s plenty to do for those who prefer to keep their feet out of skis. The village itself features many cafes and bars where you can enjoy authentic Austrian cuisine and drinks in welcoming surroundings. A thoroughly old-school Austrian village, Kaprun’s long and compelling history is partly what continues to draw crowds every season. The Kaprun museum offers a snapshot of the past of this unique region, complete with information about the village’s mining history, as well as its rebirth as a top skiing destination over the years. Beyond the village, Kaprun has a long history as a place of great natural beauty, and visitors should make every effort to get closer to nature beyond the slopes. Thanks to its excellent location, Kaprun’s walks and trails offer some of the best views of the region, including panoramic landscapes of the amazing Mooserboden and Wasserfallboden dams, plus the surrounding alpine mountains. A small-scale village with great proximity to some of the best resorts in Austria, Kaprun is ideally-placed as an investment property. The village features a mixture of classic Austrian wooden cabins as well as more modern approximations, allowing you to pick a style and location that best suits your needs. Properties for sale in Kaprun are suitable for small groups and families, as well as for larger groups thanks to the variety available. As a continually popular destination, Kaprun is the perfect choice for those considering investing in a ski resort area and buying a property in Kaprun is the right choice for many. 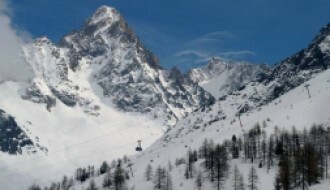 Thanks to this popularity, there continues to be a significant investment in this destination, including over 200 million euros spent in the updating and rejuvenation of the existing lift system in recent years. Kaprun’s location close to the larger Zell Am See resort also makes it a popular choice for those who don’t mind travelling to reach a range of different slopes. Kaprun is just an hour and a half from Salzburg airport, at around 95km away, making it a convenient choice for holidaymakers from just about anywhere around the globe. Shuttle buses are available during the winter months to reach the village, while car hires and taxis are available year-round. Kaprun can also be partly reached via train, following by bus or hire car, for those who prefer to avoid flying. Located near the larger Zell Am See, the route to Kaprun is relatively easy, as well as being well-signposted. With its world-class snow, Austrian charm and classic resort feel, it’s no wonder Kaprun is a destination visitor return to time and time again.